I’ve worked on two different styles as you can see. 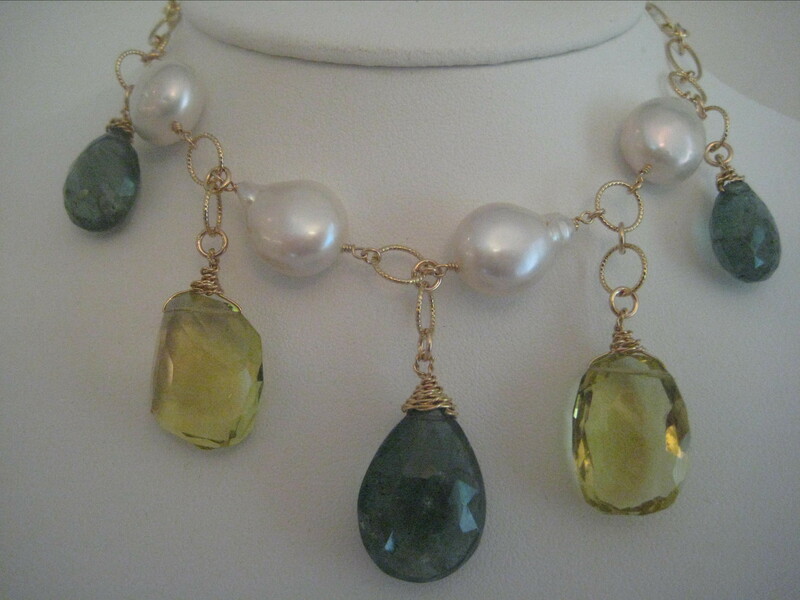 The first one has pearls and limited to three necklaces. Sold the first one. 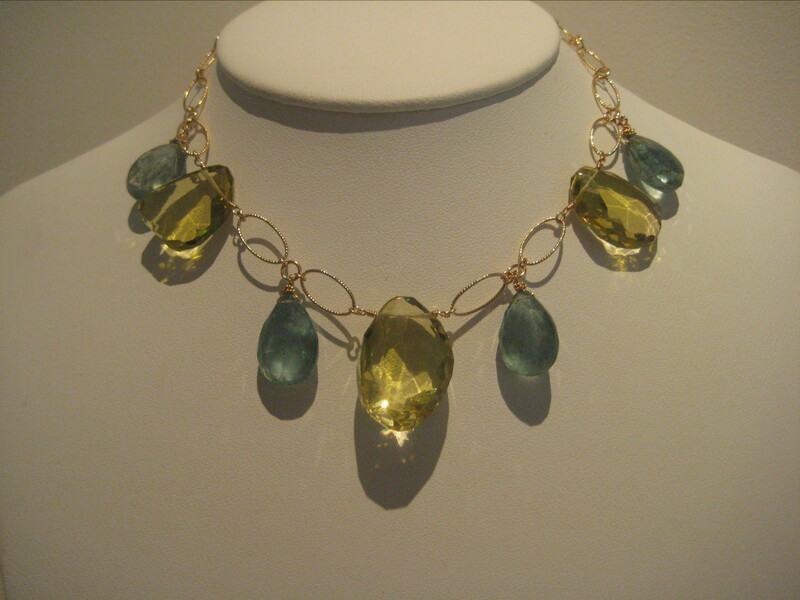 The second Necklace I did a give away (contest) on Fab over Fifty website. That was really fun and it had a huge response. Hopefully I will do that again. This is the last Necklace in the edition. Love to make more, but so far I cannot get the lemon quartz in these free form shapes. The second necklace I used more stones and no pearls. These are large stones. The necklace still has a delicate look. Both designed by me. Both made by me like everything I have shown. These are really pretty in person.